The following are short biographies for the 2001-2002 AIB Executive Board. The 2001-2002 executive board ended its term in July 2002. The AIB President presides over all meetings of the AIB Executive Board, appoints and instructs all committees, is responsible for the administrative direction of the Academy, and supervises the functions of other officers and the Executive Secretary. Lorraine Eden is Associate Professor of Management and also Associate Director of Research in the Center for International Business Education and Research at Texas A&M University. Her research and teaching center on multinational enterprises, particularly in the areas of transfer pricing and international taxation, NAFTA, and the auto industry. She also runs week-long executive training courses on transfer pricing for Revenue Canada. Prior to joining Texas A&M in 1995, she was Professor of International Affairs at Carleton University where she continues to hold an Adjunct Research Professorship. She has also held full time appointments in the Economics departments at Mount St. Vincent and Brock universities, and a visiting Professorship in the Kennedy School of Government at Harvard University. Recent honors include Who's Who in International Business Education and Research (1999), a Pew Faculty Fellowship in International Affairs (1991-92), and a US-Canada Fulbright Research Fellowship (1992-93). She founded and was the first president of the Women Economists Network in Canada. She has been vice president of the Canadian Economics Association, and president and program chair of the International Political Economy Section of the International Studies Association. She currently sits on the editorial boards of Journal of International Management, Review of International Political Economy, Canadian Foreign Policy and Journal of International Business and Economy. She has authored and/or edited five scholarly books: Multinationals and Transfer Pricing, with Alan Rugman (1985), Retrospectives on Public Finance (1991), Multinationals in the Global Political Economy, with Evan Potter (1993), Multinationals in North America (1994), and Taxing Multinationals: Transfer Pricing and Corporate Income Taxation in North America (1998). 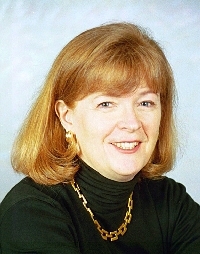 In addition, she has published more than 50 refereed journal articles and book chapters, including articles in Academy of Management Journal, Accounting, Organizations and Society, Asian Survey, Canadian Journal of Economics, Government and Policy, International Executive, International Trade Journal, Millennium, and Transnational Corporations. She is co-editor of the June 2000 AMJ Special Research Forum on "Strategies in Emerging Economies"(with Robert Hoskisson, Michael Wright and Chung-Ming Lau), and of the upcoming JIBS Symposium on "Multinationals: The Janus Face of Globalization" (with Stefanie Lenway). Bernard Yeung was born in Hong Kong, migrated to Canada in 1975. He graduated at the University of Western Ontario in 1979 (Hons. BA in Economics and Mathematics), obtained his MBA (1981) and Ph.D. (1984) at the University of Chicago. 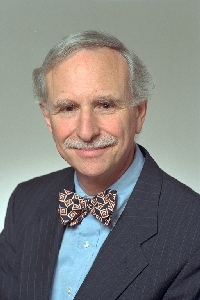 Bernard is currently Abraham Krasnoff Professor of Global Business and Professor of Economics at the Stern School of Business, New York University and Area Research Director at the William Davidson Institute at the University of Michigan Business School. Before joining the Stern School in 1999, he was professor of International Business at the U of Michigan Business School. He also served on the faculty of the University of Alberta from 1983 to 1988 (tenured). 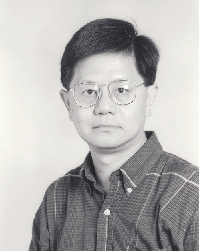 Bernard Yeung has been an AIB member since mid-eighties, on the JIBS editorial board since 1990 and became a JIBS associate editor in 1997. Bernard is also on the editorial board of Management International Review and in economics journals. Bernard Yeung's research and teaching interests are in international business, international economics, and international finance. He has published widely (more than sixty) in top-tier journals in international business, strategic management, economics and finance, for example, Journal of International Business Studies, Strategic Management Journal, Management Science, Economic Journal, Journal of Financial Economics, Journal of International Economics, Journal of Business, Review of Economics and Statistics, Economic Inquiry, Contemporary Economic Policy, Journal of International Money and Finance, and Weltwirtschaftliches Archiv. As well, Bernard Yeung has edited two books. He received the Eugene Power Career Achievement Award and the teacher excel lence award for doctoral programs at the University of Michigan Business School. Danny Van Den Bulcke is Professor of International Management and Development at the University of Antwerp - Belgium. He is President of the Institute of Development Policy and Management since 1996 and Director of the Centre of International Management and Development-Antwerp (CIMDA) since 1989. He holds a BA in economics from Ghent University, 1961, an MA in International Economics from the University of Toronto, Canada, 1966, and a Ph.D. from Ghent University, 1974. He taught at the University of Limburg (1970-1986), the College of Europe in Bruges (1976-1990), ICHEC, Brussels (1976-1986) and is a part-time lecturer at Ghent University and the University of Louvain. And has been visiting Professor at universities in the Netherlands, Indonesia, P.R. China, Poland, The Philippines, Thailand, India, Bolivia, and others. He was elected Fellow of the Academy of International Business in 1992 and has been in charge of the Western European Chapter of AIB since 1989. He is a former President of the International Trade Investment Institute (ITI) 1980-1983 and the European International Business Association (EIBA) (1986-1987). He was Scientific Coordinator of Intercollegiate Centre of Doctoral Studies in Management (1988-1994) and is Titular Professor of the European Institute of Advanced Studies in Management (EIASM) (1988-....) He has organized the Doctoral Tutorial in International Business for EIBA-EIASM since 1987. Daniel Van Den Bulcke is the author of many books and articles on foreign direct investment issues and the activities of multinational enterprises especially with regard to Europe and Asia. 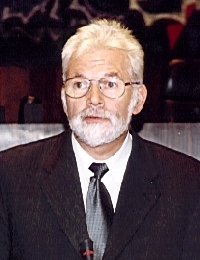 He was involved in research activities and assignments on behalf of the Belgian Foreign Trade Office, the Belgian Administration for Development Corporation, The Belgian Ministry of Economics, the UN Centre on Transnational Corporations, the OECD, The International Labour Organization, The World Bank, the European Union, etc. He is co-editor of the International Business Review and is a member of the editorial board of Management International Review, Studies in Management and Organization and Transnational Management.